13 1/2” X 18 1/8” serigraph print--contemporary design. 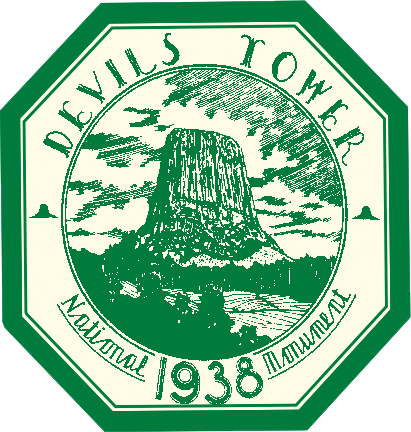 This is the first contemporary poster we produced "in the style of the WPA" at the request of the superintendent of Devils Tower National Monument. It was also produced before today's advanced computers so we actually created a painting first which now hangs in the superintendent's office. 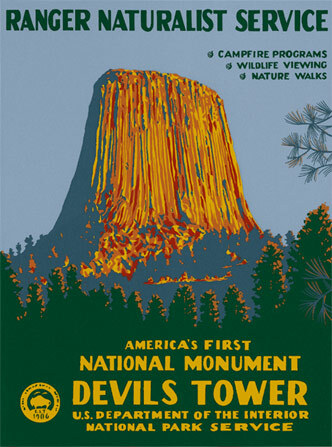 Our second and subsequent editions featured several small changes, making the first edition unique.